The shop floor at Aztalan Engineering, Inc. (AEI—Lake Mills, WI) looks to have nearly everything a CNC machinist could want: Multi-axis horizontal milling centers with automatic tool changers and chip removal systems. Four vertical machining centers with 10,000 RPM spindles. Single spindle/single turret and twin spindle/twin turret lathes; equipment with live tooling; equipment with robotic load/unload arms. To look at all this, you’d think that workers at AEI did nothing but cut and mill metal all day. Not so, notes Jim Hale, general manager at AEI. “All this precision cutting and milling requires careful planning and tracking.” During the course of a day’s work, technicians assemble quotes for parts, analyze proposed designs for their manufacturability, establish process controls for parts being manufactured, and communicate with customers and the supply chain. Last year, Hale found a valuable ally to help him execute these tasks more efficiently: Design for Manufacture and Assembly (DFMA®) software, from Boothroyd Dewhurst, Inc. (Wakefield, RI). The software helped Aztalan produce accurate and detailed quotes, explore design and manufacturing strategies, assess manufacturability, decrease manufacturing costs, and effectively manage in-house machining, their customers and their supply chain. DFMA software is a combination of two tightly integrated, complementary tools, Design for Assembly (DFA) and Design for Manufacture (DFM). DFA software makes it possible for engineers to reduce the complexity of a product by consolidating parts into elegant and multifunctional designs resulting in significant cost savings. DFM provides guidance in the selection of materials and processes. Early in design, the software enables engineers starting with either basic, concept-stage shapes or CAD models to evaluate alternative materials and processes. The extensive process library and cost models in DFM Concurrent Costing help to identify major cost drivers such as machining time, part handling (set-up) time, materials costs, or secondary manufacturing processes such as finishing surfaces. New part quoting. This often begins when a customer sends a CAD model of a proposed new part. “We transfer the geometry from CAD into DFMA,” Hale says, “and that starts things rolling.” Based on the geometry, the material, and the initial machining process selected for manufacturing the part, the software can identify significant blocks of machining time, part handling and fixturing time, tooling costs, and secondary process costs. At the same time, Aztalan analyzes potential failure modes, determines whether the part can be run “lights out” or at a reduced attendance rates, and identifies critical features and necessary inspection intervals. 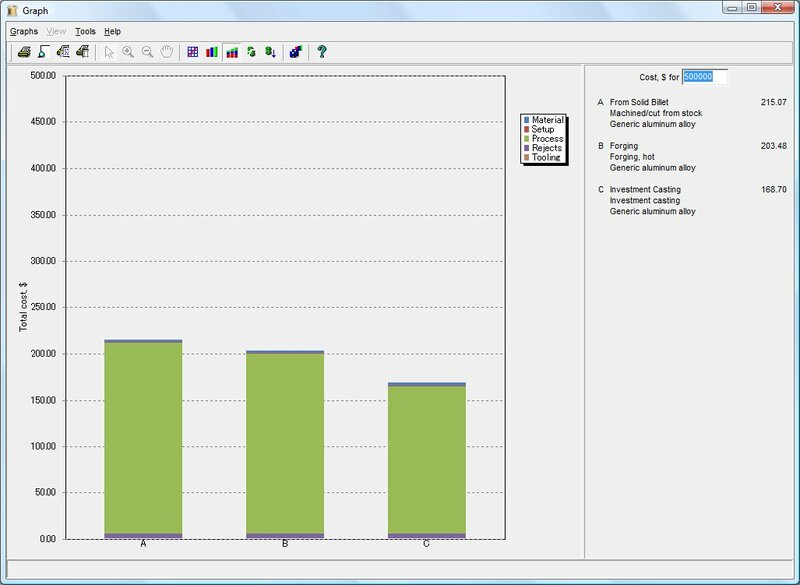 “Basically, we can build and cost out an entire manufacturing process within the estimation software,” Hale notes. Design review. Sometimes it’s not the process, but the nature of the part that builds in costs. In that case, Aztalan shares its DFMA analysis with the original design engineer. “Often, we’re addressing a series of questions that come from our analysis,” Hale says. “Is the part complex? Can it be made simpler, maybe more machining-friendly? 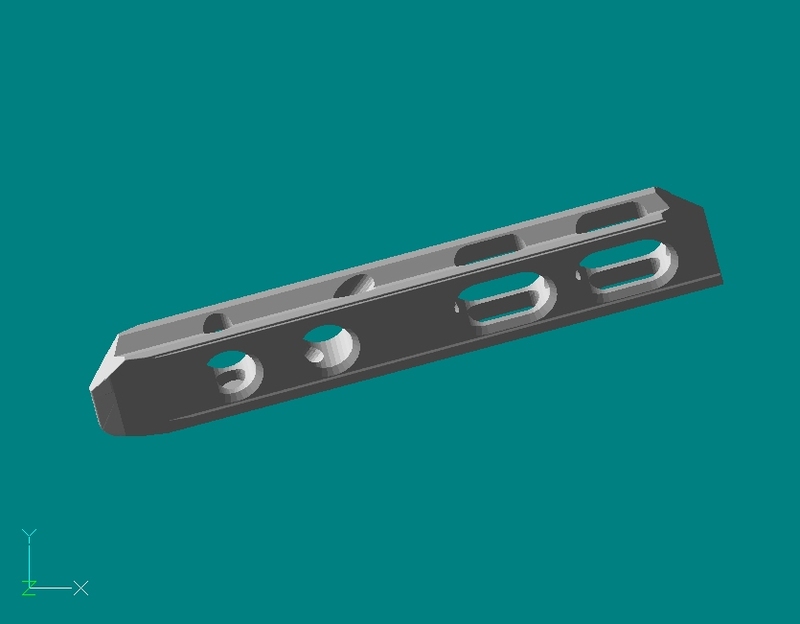 Are the specified tolerances overly tight? Is there a way to reduce the number of secondary operations, or can we reduce costs by making the part from a different material?” The answers to these questions can help engineers design costs out of a part while preserving its functionality. Process control. Aztalan found another unique use for DFMA software: controlling the manufacturing process for purchased services. 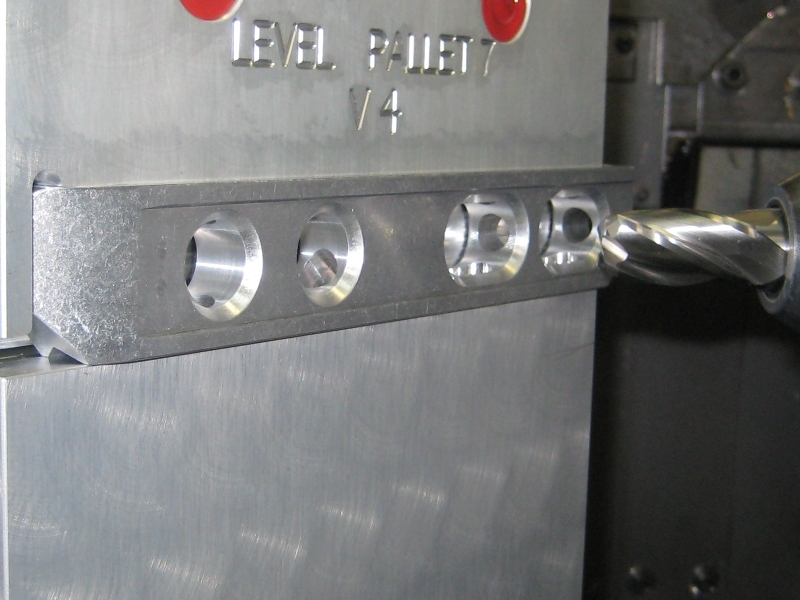 “Our DFMA quotes are extremely detailed,” Hale says, “so we can print up a report from the software and use it as a manufacturing-ready road map for part production.” The report provides a comprehensive operation sequence; it specifies the tools used, defines operation types (such as face or pocket milling), establishes fixturing and part density, and calls out the machinery needed and any special tooling. The CNC programmers review the reports at weekly kick-off meetings for new parts. Recently, Aztalan prepared a quote for a carpenter’s level (see Figure 1). This particular part was to be produced at a very large volume—hundreds of thousands—so costing it accurately was imperative. The initial proposal called for machining the level out of a rectangular tube of extruded aluminum. The amount of scrap material was considerable. “The aluminum before machining weighed 1 pound. Afterward, the level weighed four-tenths of a pound,” Hale points out. He entered the machining information—because of the high volume of production, the part would have dedicated machines. The machining operations would include high-precision milling of the leveling faces, milling the datums, and precision hole drilling and boring. Hale then printed out an initial costing report for use as a benchmark. Two subsequent analyses—one for forging and one for investment casting—each suggested possible savings (see Chart 1.) Investment casting offered the most savings—21 percent lower costs than the baseline machining estimate. Aztalan has continued working with its customer to explore cost reductions for the level—everything from different processes to ordering near-net extrusions out of China. DFMA remains part of that process (see Table 1. ).